The personal hologram is the spacious inner stage for what a person is experiencing in the eternal here-and-now. It is our individuated outpost of consciousness, our mysterious matrix of awareness, that is plugged into multi-dimensional reality. Each of us has a reflection of the ever-changing, dynamic universe inside of us. It’s time we embrace this new understanding of the world and ourselves, the interconnection with the Cosmos, your Inner Holographic Reality! Promo text from The Soul Connection Network edited by Jyro. Lullaby mixed by Victor and Amb, violins by Frankie Látó, voices by Csobán Gál. Holographic Nature mixed by Jeremy’s Aura. Inspiration Dub Kanun by Theofilos Bras. Compiled by GaNt; mastered by Jeremy’s Aura, artwork and design by Marina Anauate; produced by Jyro; and released in 2017 by Badgers Records. Big thanks and respect to all artists who collaborated in the making of this one, as a group of friends sharing our love for art, and to all you Badgers for your support! You know who you are! Earthlings enjoy. MP3 Download | FLAC Download | WAV Download · Download count: 10,934. Or else some special characters may not appear correctly! PSY DUB | PSYBREAKS | GLITCH .. nice one! Once again, a BIG BIG Thanx and Respect to all artists involved and shared their work with all of us for FREE. We all became a nice group of artists and made this all together. Thank you Marina Anauate for your really artistic cover and Jeremy’s Aura for the crystal mastering! And of course, our mastermind GaNt (aka Hora Project) who connected all the artists together into this fantastic compilation! Last but not least, we Thank all you Badgers who support us all these years here in Ektoplazm and in Bandcamp! Earthlings Enjoy..
Maybe it’s not all tracks is for me, but I very enjoy a tracks like J.P. 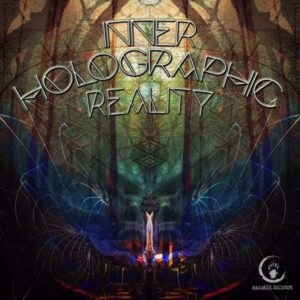 Illusion – Inspiration Dub or Yechidah – Holographic Nature. Just wonderful. EMOG is my favorite and special kudos to Jeremy’s Aura for Eddie Izzard in his track. pro psychedelia …thank you ! awesome compilation guys thank you a lot magical trips very very emotional !! Wow. Confering this compilation. Sounds good. Very good . Vj Guy from Toronto here. I am looking for the contact for Yechidah. I used one track here check it out . Artist and Ekto credited.